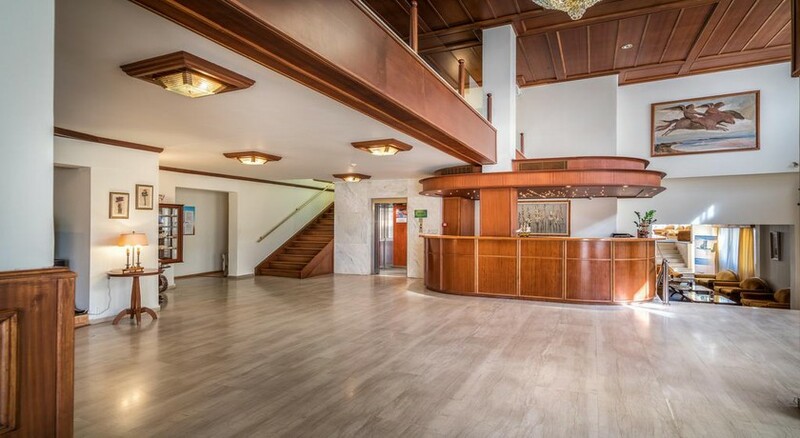 Centrally located 200 metres from the Catholic Church in the Venetian square of St. Marcos, Diana Hotel is ideal for families, couples and large groups of travellers. 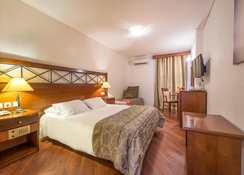 And besides the comfortable guestrooms it offers, Diana Hotel features restaurant and bar, along with terrace pool, mini gym, sauna and Jacuzzi. Diana Hotel offers 45 modern guestrooms that are designed to offer the maximum comfort to its guests. 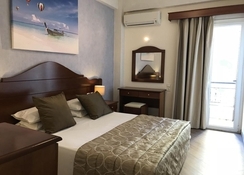 Rooms were renovated in 2012 — after the makeover, standard facilities include air conditioning, TV with satellite, mini bar, private bathroom, hairdryer, bath amenities, iron & iron board, safe deposit, WiFi internet and balcony. Diana Hotel houses a buffet restaurant that offers breakfast and a roof bar that serves a wide range of alcoholic and non-alcoholic drinks. 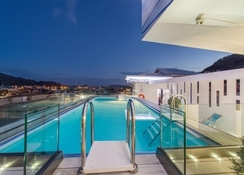 There is a large outdoor swimming pool on the roof top, with solarium, Jacuzzi and sauna. 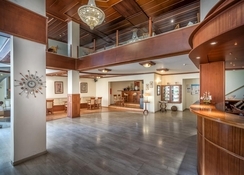 In addition, the hotel offers a recreation room with billiards, darts and some board/table games. Also check out the common TV lounge and the well-stocked library in the lobby area and the mini gym. 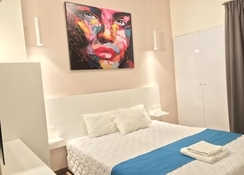 Located 6 km from the airport in Zakynthos Town, Diana Hotel is a modern property that comes within comfortable budget. 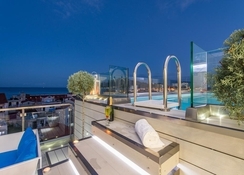 The port is about 400 metres from the hotel, and alongside the thoroughfares there are tons of restaurants, bars and cafes in the neighbourhood. Also being centrally located, there are numerous places of interest in the locality that can be visited anytime of the day.